Wallplanners and desktop calendars are a great promotional tool. As well as being handy for your customers, your branding and contact details will be readily available to help remind them that you're there. Our A1 wallplanners are printed on 150gsm uncoated or silk stock, with a full colour print to one side. This means pen can easily be used on the planner. All important dates are listed on the planner and additional dates personal to you or your customers can be added if required. We will personalise your wallplanner with your branding, logo and contact details FREE of charge. Our prices are listed below and include delivery. We will turn them around in 4-5 working days. 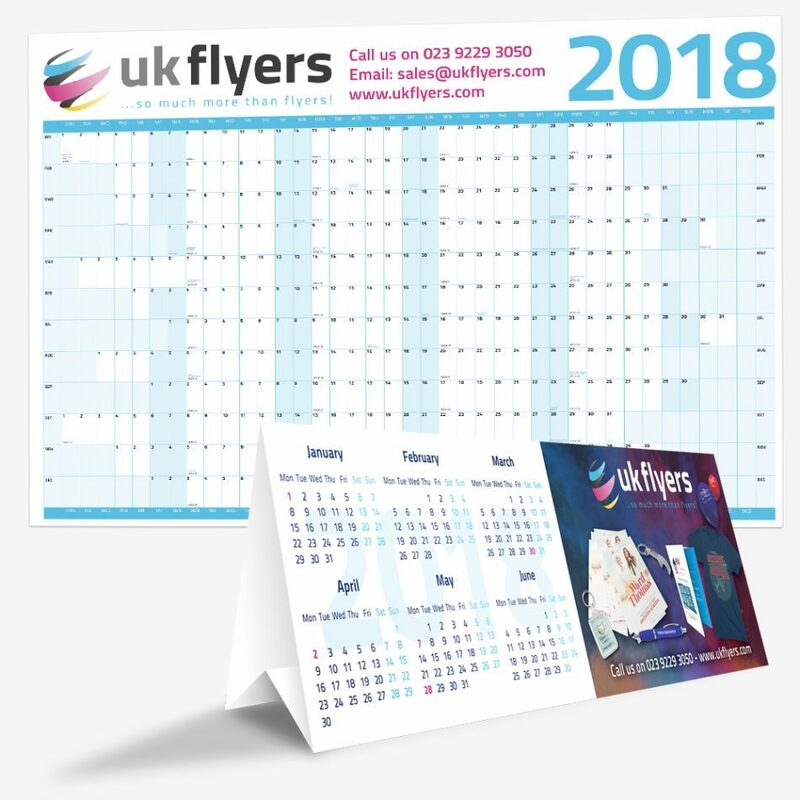 Our desktop calendars are printed flat on 350gsm with scores and a gummed flap, which makes storing and sending them out to customers easier and they can then be assembled. We will add your branding, logos and contact details to the calendar for FREE plus any important dates you or your customer may require. Our desktop calendars will be turned around in 4 working days. Our prices are listed below and will require delivery to be added.